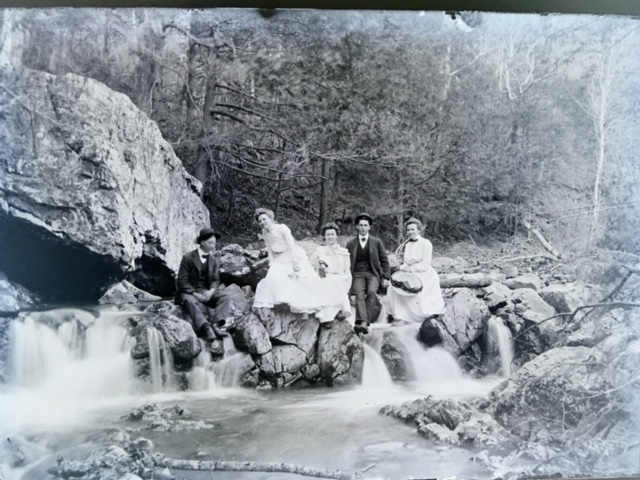 Scan of a glass plate negative showing a party of men and woman on a rock dam in what may be Stony Creek in Shenandoah County. The party is unidentified. 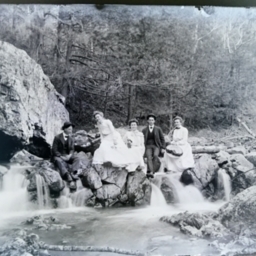 Unknown, “Unidentified Party,” Shenandoah County Library Archives, accessed April 24, 2019, http://archives.countylib.org/items/show/8435.